Dragon's Lair Fans - Arcade Lifestyle > General Chat > Dragon's Lair / Space Ace > LDPlayer "converted" ? 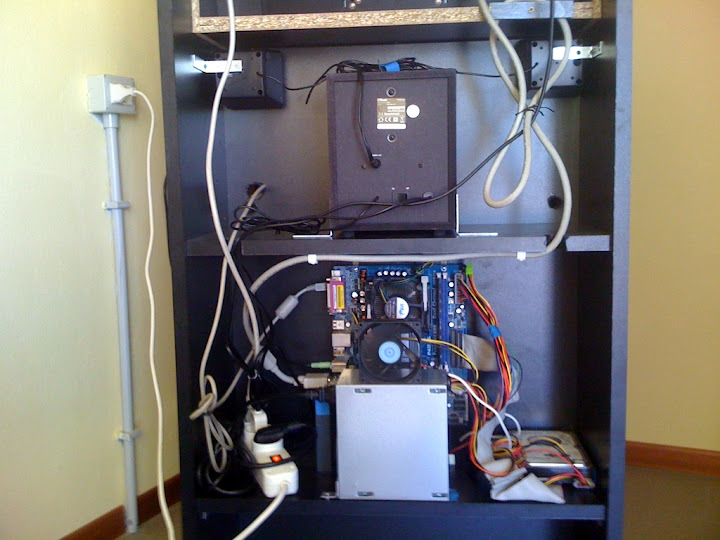 Some time ago I was about to kick my Dragon's Lair-Daphne cab's PC out of its case and simply place it on a retractile woodpanel, to obtain a layout like the drawer of a Jamma cabinet. ... but I continue to prefer the "all-in-the-chassis" layout, because it's SO quick and simple to take out of the cab if any assistance is needed. Well, here came Teo's (italiandoh) idea (THNX, Teo !!!) ! I litterally "threw" a complete PC inside the 932 ! 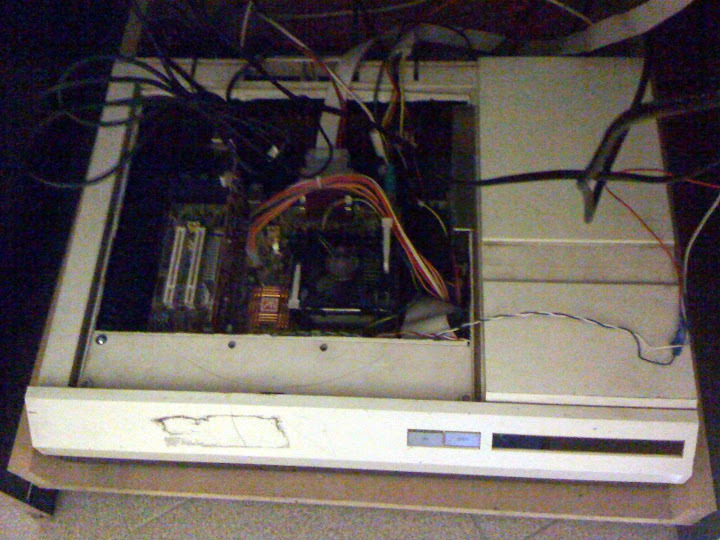 Pentium4 (Socket478), 512MB RAM, ATI radeon 9250 (TV OUT), 160GB HDD, PSU (300W). Power and HDD led respectively placed in the "Power" and "Play" slots in the 932 display (they both are a little bit blurred), and power button fixed in an accessible position in the back of the cab . Those unordered cables are very ugly. A DL cab with scoreboard is very rare in Italy. inuyaksa ! You're here, too !